Within the efforts of the positive Alliance, we see the disclosure of numerous revelations. Last week, we covered the cabal's international drug smuggling schemes, as well as their efforts at poisoning our food and water which, in tern, has created our perpetual need for their dangerous pharmaceutics. In this article, we add to these disclosures a direct opposition to the cabal oil cartels, which have monopolized the energy market for over a century. These numerous disclosures signify the dissolution of the cabal's control over the media, and the onset of a freer and more open media structure. Much of the evidence of this progress comes to us through strategic hacks accomplished by the Alliance, and the revelation of some of the most sensitive secrets once hidden by the 'Powers that Were'. It is here where we begin our discussion. As discussed last week, the Alliance has gained miles of ground on the undoing of cabal influence. One of the ways in which they have accomplished this has been by infiltrating various offices of the American government and gathering sensitive intelligence which will likely help to legally disempower the cabal permanently. There was one particular data hack which left a significant dent in the image of the security of the United States government. This was a collection of sensitive data from the email of the president himself. This particular instance was actually mentioned in last week's article. (I guess I accidentally telegraphed that one.) However, during this discussion, Wilcock give greater detail on the impact of this particular seizure of data. Here is the New York Times from with the story. WASHINGTON — Some of President Obama’s email correspondence was swept up by Russian hackers last year in a breach of the White House’s unclassified computer system that was far more intrusive and worrisome than has been publicly acknowledged, according to senior American officials briefed on the investigation. 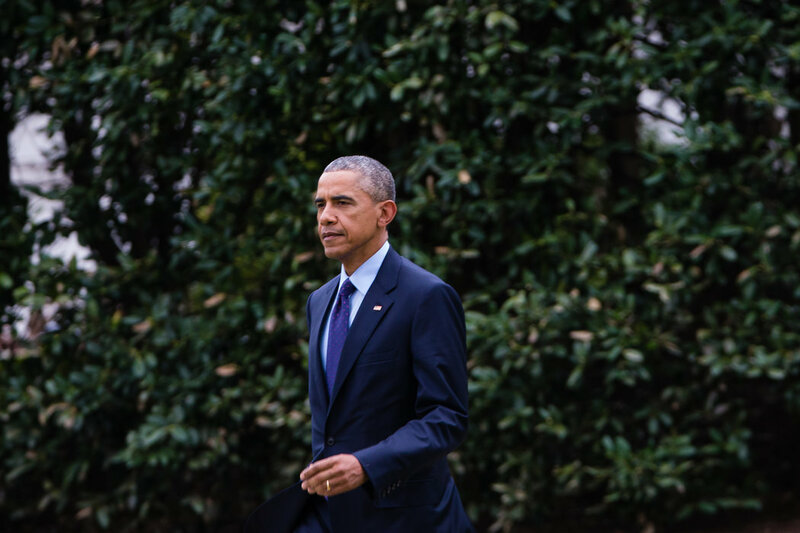 The hackers, who also got deeply into the State Department’s unclassified system, do not appear to have penetrated closely guarded servers that control the message traffic from Mr. Obama’s BlackBerry, which he or an aide carries constantly. Others confirmed that the White House intrusion was viewed as so serious that officials met on a nearly daily basis for several weeks after it was discovered. “It’s the Russian angle to this that’s particularly worrisome,” another senior official said. While Chinese hacking groups are known for sweeping up vast amounts of commercial and design information, the best Russian hackers tend to hide their tracks better and focus on specific, often political targets. And the hacking happened at a moment of renewed tension with Russia — over its annexation of Crimea, the presence of its forces in Ukraine and its renewed military patrols in Europe, reminiscent of the Cold War. As David Wilcock explains, at this point the cabal is basically helpless at watching their secrets slip away into public view. However, this does not deter them from their cheap attempts to demonize their opponents, and to feign innocent victimhood. Wilcock points out that within this article, the NY Times is likely attempting to claim that Russia is the same boogeyman they were seen as during the Cold War. Generally speaking, those behind the corporate (cabal) media are attempting to portray Russia as evil because they know that their own secrets are slipping away. By selling this rhetoric, the cabal-controlled portion of the U.S. government reveals itself to be in a mode of damage control. (Consequently, this is reflected in news reports.) The ironic part is that in blaming the Russians for executing this hack, the article is most likely accurate, as Russia is a primary member of the Earth Alliance. One point which Wilcock makes is that when the media uses the term “State Department” they are actually referring to the CIA which is a bit odd. By definition, the duty of the CIA is to work toward the interests of the United States in foreign countries. In contrast, it is the job of the FBI to deal with domestic issues. If the CIA is, in fact, overstepping its jurisdiction in this way, this may mean that the cabal-controlled portion of the U.S. government considers the American people to be foreigners and not actual citizens. If this is true, it would also explain the ridiculous spying campaign this paranoid and over-anxious, cabal-controlled government seems bent upon. As Wilcock states, the use of the term “State Department” is used so that people don't catch on to what is actually happening. By my observation, this reveals an overt, internal hostility which the acting United States governance holds toward the American citizenry. What is the difference in jurisdiction between the CIA, the FBI,the US Marshals, USSOCOM and the NASA? Let's consider the coercive tactics of the corporate media for a moment. This media monopoly has attempted to demonize numerous reputable people whose only crime was in opposing the twisted antics of the cabal. Numerous whistle-blowers such as Edward Snowden, Julian Assange, and Bradley/Chelsea Manning have been attemptedly demonized by the cabal-controlled media specifically because they chose to reveal the secrets of a textbook crime syndicate. We may note that even though the puppet media sang this tune of the "treasonous whistle-blowers", the public didn't buy any of it. As Wilcock points out, the media had to drop the narrative because they realized that their attempted manipulation wasn't working. By my observation, this reveals two things. These are the facts that there is only so much manipulation the people will accept, and that the cabal thoroughly over estimated itself on its ability to manipulate anyone. This cabal considered itself to be all-powerful and supreme over all, and then through a few acts of the positive Earth Alliance, they realized they were only on borrowed time. Now, as we see this crime syndicate circling the drain, I believe this point has been further realized. To this list of alternative energy devices, we can now add one more which may be just as revolutionary as the rest. This finding comes to us from the auto company Audi. Here is The Daily Mail with the story. 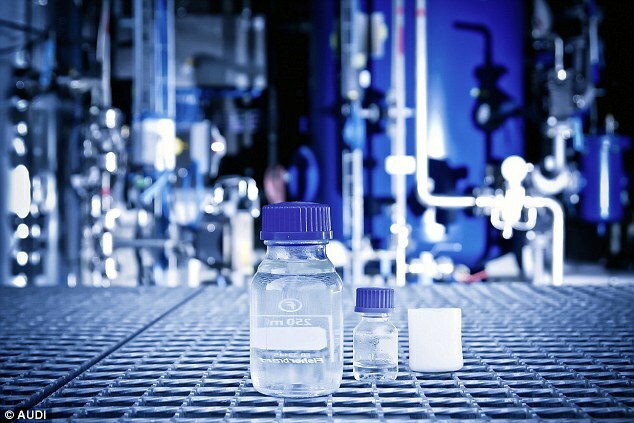 Audi has created a so-called 'green' diesel fuel made using a combination of water and carbon dioxide. The car manufacturer described its breakthrough as the 'fuel of the future' and claims it could provide a carbon neutral way of powering vehicles. Experts used renewable energy to convert carbon dioxide and water into a form of crude oil known as 'blue crude', which was then refined into diesel. Tests have shown it can be mixed with diesel from fossil fuels, or used as a fuel in its own right. Audi has already begun using the new e-diesel to power the official car of German minister of education and research Dr Johanna Wanka. Reiner Mangold, head of sustainable product development at Audi, said: 'In developing Audi e-diesel we are promoting another fuel based on carbon dioxide that will allow long distance mobility with virtually no impact on the climate. The new fuel was developed by Audi along with Sunfire, a Dresden-based energy technology company. To make the fuel, water is first heated to form steam, which is then broken down into its constituent hydrogen and oxygen using high-temperature electrolysis. By performing this process at temperatures above 800°C (1,472°F), the water breaks down with greater efficiency than at room temperature. The hydrogen is then pumped into a reactor with carbon dioxide at high pressure and high temperatures. 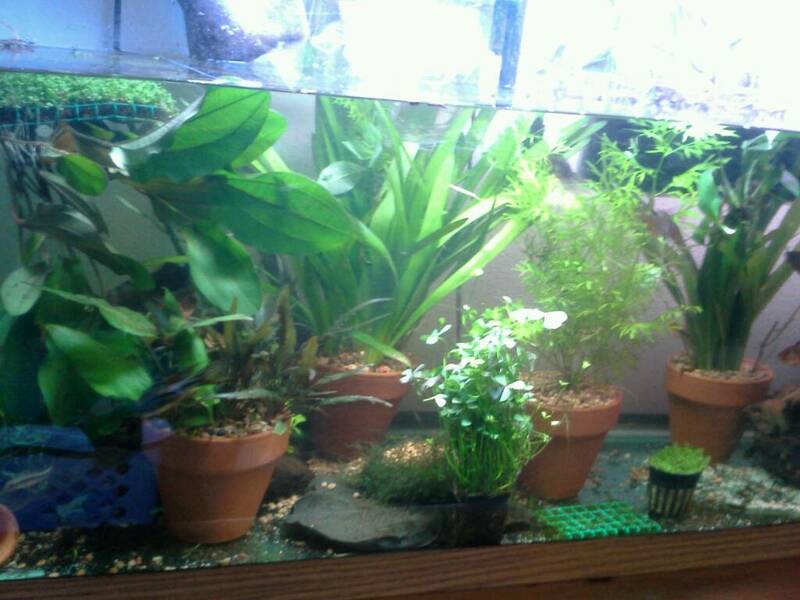 This causes them to react to produce long-chained liquid hydrocarbons. Hydrocarbons are the basic building block of all fossil fuels but the compounds produced in the reactor are known as 'blue crude'. Audi claims the whole process can be powered using renewable energy and can be achieved with an efficiency of around 70 per cent. The blue crude can then be refined in a similar way to standard crude oil to produce e-diesel. This process seems to be revolutionary, and yet surprisingly simple. In basic chemistry, we know that we can get hydrocarbons by combining hydrogen and carbon atoms at high temperature, but as we have seen, simple doesn't always come that easily. As Wilcock explains, this blue crude is only the beginning. Sure, it may seem revolutionary to think that we could run our cars on a new, reproducible form of fuel (and it very much is), but as Wilcock explains, Audi has been doing much more than just creating blue crude. On that subject, here is Time Magazine. Think for a moment about the significance of a cabal-controlled media platform such as Time Magazine printing an article such as this. This flies in the face of everything the cabal has built within the petrol-chemical industry. Oil is one of the cabal's most coveted natural resources to the point that they are largely unable to survive without it. Throughout the 20th century, they have spent immeasurable amounts of energy meticulously building and manicuring the oil and energy infrastructures just to get to this present point. In doing so, their corporations have either ignored or dismissed every other alternative as secondary to this finite, dirty means of energy production and transportation (as any Google search for alternative energy will prove). There have been numerous superior, alternative sources of electrical generation (both in performance and in environmental preservation), and yet none of these have been admitted by the establishment to be as beneficial as they truly are. This is what makes the disclosure of Audi's development so significant. So we have Audi not only producing alternative fuel in a clean and renewal way, we see them doing away with hydrocarbon emissions altogether. In the above article, we see that Audi has produced a fuel which gives off nothing more than steam (and possibly the amount of CO2 that was in the fuel to begin with). This is unheard of, and means that it is presently possible to get off of fossil fuels permanently. David Wilcock describes the possible impact of every car on the planet being converting to this water and CO2-based fuel. We would no longer have to breath toxic fumes constantly and then wonder why we and so exhausted and sick (aside from consuming toxic food and drugs). We would no longer have to dirty our skies with brown clouds of gaseous waste while pretending not to see the fact. We would also be able to drive from one end of the country to the other on a cheap and easily reproducible fuel. There is seemingly no downside to implementing this technology, other than a change in the infrastructure required to produce it. 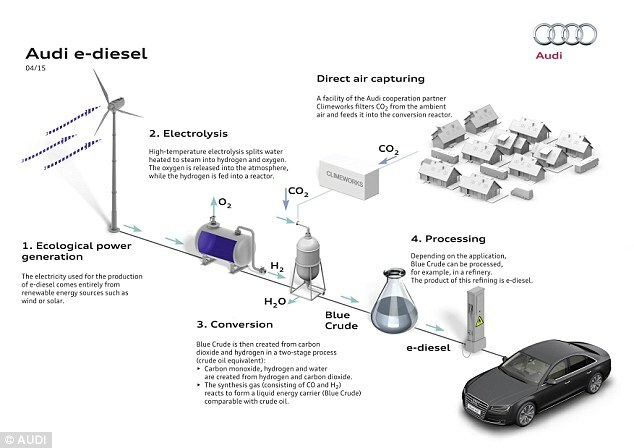 "Audi claims to have created the fuel of the future - diesel (shown above) made from water and carbon dioxide. Experts used renewable energy to convert the carbon dioxide and water into a form of crude oil known as 'blue crude', which was then refined into diesel"
We could have this alternative fuel now. However, the impact of cabal influence is still something we need to shake off. This is the very reason the Alliance has been pushing forward with these disclosures. As Wilcock states, it is they who are making these progressive changes, and allowing the public to be aware of the truth behind the curtain of secrecy. This is because before any change can take place, we must first have knowledge of the present state of things, and then consciously choose a better alternative. (This principle of consent is typically why we see various announcements of monumental disclosures, but then later, we wind up waiting for the actual disclosure. It is understandable that some might be frustrated in these cases. However, it should be understood why this happens. We know that in order for the cabal to do anything at all, they need the consent of the people beforehand. Otherwise they are unable to accomplish any of their schemes. This principle works in a positive sense as well, in that Alliance must openly tell us what they plan to do and then wait for us to consent. Personally, I would have loved to see this technology first hand, though I can understand the apprehension. The world is at the point now where cabal influence is nothing but a dwindling hope of a few wealthy narcissists. This influence has come near the point of complete extinction, and I am anxious to see technologies like this new Audi system come into the light of day for the benefit of all of humanity. 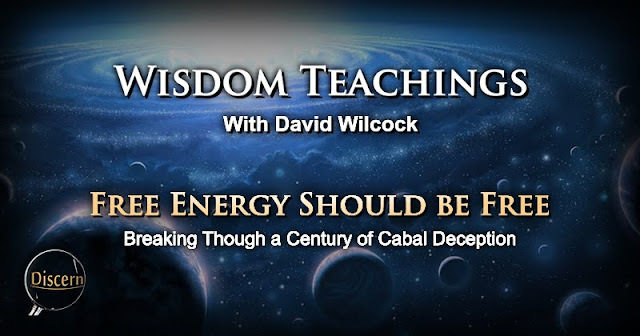 Within the discussion, David Wilcock mentions the fact that a good portion of Germany is sided with the Alliance, and that this disclosure was initiated by the Alliance within the German government for the purpose of dismantling the cabal's industry of dirty energy. Another interesting fact which he mentions is relative to the significance of the city of Dresden. Near the end of the second World War, the cabal--in their funding both sides of the war--decided to bomb Dresden, Germany not for the sake of typical strategic advantage, but as an attack on the morale of the Nazi soldiers. The city of Dresden was reportedly not involved in the war, as all of the residence were artists and creatives in German society. The Allies would claim that it was a significant, military target in order to justify their killing of thousands of civilians. However, the cabal-controlled Allies made the same claim about Hiroshima and Nagasaki, and these were also attacks found to be completely unjustified. These were attacks on innocent people perpetrated for the purpose of killing the morale of the Axis soldiers. So when we see the Alliance using this location of Dresden to mount their attack at the heart of the cabal's financial infrastructure (oil), there is likely significance and deliberate communication by the Alliance from this choice of location, according to Wilcock. There is quite a bit of history behind the secrecy in Western society, which the Alliance is now uncovering. On the subject of both past and current technological breakthroughs, and the secrecy that has hindered them, I doubt there are many who are more familiar with this secrecy than Dr. Steven Greer. Below, I have included a lecture by Dr. Greer for those interested in learning more of the tactics of secrecy, as well as how this secrecy is being dismantled. There are many subjects in life which we may consider to be important. However, there are few things more important to us than our own health. Naturally, when it comes to the possible ways in which that health may be jeopardized, it is key for us to avoid these and to pursue more healthy alternatives. We know that for a long while now, the cabal has attempted to limit our health and wellness through various means. 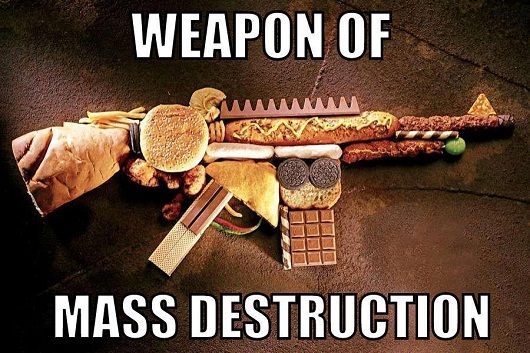 One of these has involved the weaponization of our food and water. In the last article (and episode), the topic of fast food was discussed as being used as a means of degrading the health of the people for the purpose of social control, as well as a catalyst to foster chemical dependency on pharmaceutics. There are several methods by which this has been accomplished—one of which is the mass production of fast food. The second of these is through harmful vaccinations which can be laced with toxic preservatives, and additives which very few people in their right mind would voluntarily put into their body. The third of these methods includes our subject of interest in this discussion. This method is the fluoridation in our water supply. Perhaps one of the most significant and most immediate-visible accomplishments of the Alliance was the reduction of fluoride in the American water supply. As many of us have learned, there are numerous health issues which can arise from fluoride intake. We will discuss these in a moment. Right now, let's take a look at this reduction of fluoridation in the American water supply. Here is NPR with the story. This fluoride reduction is huge, as Wilcock describes. He goes on to mention that when the article says the “Feds” (referring to the title), the term is not entirely accurate. It is actually the Alliance side of the U.S. government that initiated this reduction, but why is this change so significant? The presence of fluoride within the human body can have a number of effects from heart disease, to cognitive deficiency, brain damage, as well as cumulative build-up of this poison within the body. This toxin is commonly used in rat and cockroach poisons, hypnotics and psychiatric drugs, and anesthetics. With this in mind, one may begin to wonder what this poison is doing in our water supply in such excessive amounts. The answer seems fairly clear. The main point which David Wilcock makes is that fluoride actually clogs the pineal gland. For those unfamiliar with this organ, the pineal gland is a small, pea-sized gland located in the center of the brain. It connected to the visual cortex of the brain, and has a surprising large amount of blood-flow for an organ its size, which may signify its importance. For various reasons, scientists believe it may be part of the mechanism which allows us to dream. There are numerous interesting and anomalous characteristics about this organ, but instead of simply naming them all, here is a video of a lecture which David Wilcock gives on the subject. So we can see that this organ is linked with many physiological processes, and is the focus of many major religions and mythologies from around the world. We also know of the likelihood that fluoride has a detrimental effect on this vital organ within the brain. (To share a thought... It seems very strange to me how many times the mantra of the "positive effects of fluoride" are parroted by the scientific establishment. This is an establishment which claims to be centered around reason and evidence as the proof of the principles they stand by. Yet this mantra of, "Fluoride is good for the teeth", has never been proven according to all of the research I have done. We can see the mantra parroted over and over, and we may also see studies including the consumption of fluoride in drinking water. However none of these studies even begin to present evidence of the original claim, and it is my belief that this gospel of fluoride never had any basis in fact to begin with. 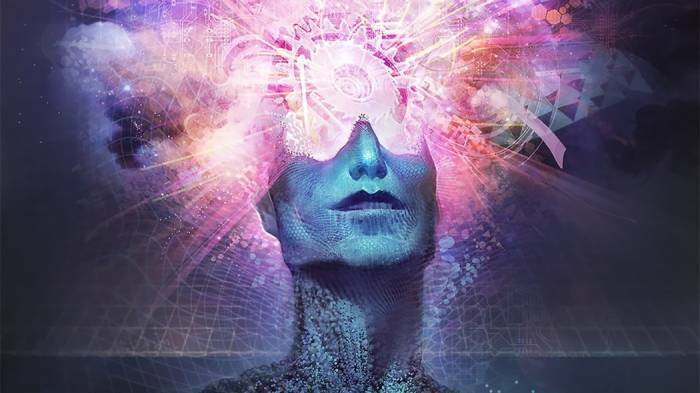 Wilcock describes the contents of the pineal gland as containing water and DMT crystals (dimethyltryptamine), a chemical known as a halide. This is a hallucinogen which has been used by many ancient cultures, but is also this crystal suspension found within our brains. As Wilcock describes, this chemical is electroluminescent and electrochromic. (In other words, it gives off multi-colored light when exposed to an electric current or field.) These qualities enable this chemical to illuminate and give off multi-colored displays within the brain during dream-time as well as within deep mediation. As amazing as this may be, it is important to keep in mind that to take care of this organ, we must avoid the consumption of fluoride. As Wilcock states, sodium fluoride actually calcifies the pineal gland and can cause it to malfunction He describes how sodium fluoride has a tendency to bind with DMT crystals and block their ability to produce the images they are designed to. This can significantly hinder a person's ability to dream and to have psychic visions. These and multiple other health concerns were the reason why the Alliance made the move to reduce fluoride within the water supply by nearly 50%. The reason they may not have reduced it completely is that America does not yet have the infrastructure needed for alternative water purification methods, according to Wilcock. A number of other subjects were addressed during this discussion. These included numerous other toxins which are included in a number of products that most people may not have been aware of. Additives such as refined sugar, modified starches, and chemically altered wheat were mentioned as significantly hazardous to our health (though these are more commonly known). Not only these, but other additives to food, drugs, and cosmetics which we may not have known about included MSG, citric acid, and a substance called "urea". This urea is not so pleasant to discuss, but I believe it requires our attention. As Wilcock explains, urea is exactly what it sound like. It is a chemical derived from human urine. Though I have read a number of articles from pharmaceutical companies on the notion that urea is somehow artificial, I did not find anything convincing of the notion, but only the usual, whitewashed, corporate, pharmaceutical sale-speak. David Wilcock mentions the concept of the no-flush toilets in some men's restrooms, and that the reason behind these toilets is that they are a means of collecting urine for later use. As he describes, this urea is used in the manufacturing of tobacco products, and according to the CDC, he is correct. As he goes on, he tells of how most cigarettes don't actually have tobacco in them. 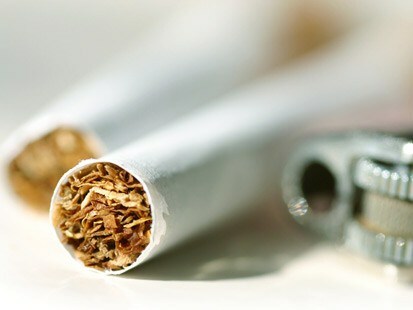 What they have instead is a tobacco substitute made from dozens upon dozens of toxic chemicals, one of which is urea, and other waste products. The reason for selling this toxic cocktail to the people is that it creates more customers for the pharmaceutical companies. Just like the fast food industry is designed to diminish health and increase dependency upon the corporate drug machine, cigarette companies exist for the same reason. This goes to show that many American corporations are not at all the friendly companies they are advertised to be. We have discussed numerous ways in which disclosure is tangibly happening before our eyes. We may take courage in the fact that by examining each of these disclosures, every one of us is benefiting the collective consciousness of humanity and bringing the planet leaps and bounds closer to our full disclosure event. On this subject, let's discuss the concept of timing. In previous articles, we have discussed the efforts of the Alliance, and their pace of disclosure. We know that in order to deliver the complete data dump, they must wait for the authorization of our collective free will, as well as the elimination of cabal control over the internet. Once this point is reached, the truth is likely to poor forward with such force that no one will be able to stop it. With this in mind, some may wonder how we as a collective might prepare ourselves for this full disclosure. On the subject of our own readiness for change, it is important to remember that timing is a key factor. In their continuing disclosure of vital information, the Alliance must give us these various data as soon as we become ready for them. On this subject, we may know of the phrase, "too little too late", but how many of us are familiar with its opposite, "too much too soon"? It may be easy for us to imagine a situation in which we need to have vital information as soon as it becomes available. We know that during emergencies, quick action is necessary in order for a positive outcome to be achieve. However, when it comes to our own natural pace of spiritual development, many of us have little understanding of how to go about it. Let's discuss. We have been kept asleep for the majority of our lives. Consequently, we know very little of how to achieve greater maturity and independence than that which we have experienced while sleeping. Up until a certain point, we are unfamiliar with healthy habits and lifestyle. Until this point, all we know is malhealth, limited energy, limited self and societal awareness, limited confidence, and low-vibrational states. Up to our point of awakening, we only know ignorance, conformity, and a common social script that we are expected to repeat upon request, and when we awaken. Even when we do awaken, this does not automatically change. It may be that as we awaken, we become more aware of the world around us, but we still do not understand our path, or our purpose. Nothing is spell out for us as before. When we were asleep, someone else made our decisions, determined our thoughts, our opinions, our emotions, and determined our observations for us. Consequently, as we awaken, we first have to stumble through darkness, doing our best to discern the healthy from the unhealthy (though some still fail to do this). Among the issues of which we are unaware upon awakening is that of the specific pace at which we naturally develop that is most healthy for us. Initially, upon awakening, we don't even realize what is happening to us. Nor do we have the ability to decipher a healthy pace from one which is too fast or too slow. However, the fact is that just as a plant needs a certain amount of nourishment in order to grow and to flourish, we ourselves need a certain amount of spiritual and informational nourishment in order to continue growing. If we receive too much information too soon, we can become dependent upon the source of that information instead of being dependent upon our own guidance and perspective. Instead of following our inner voice and trusting our own soul to lead us to what is best for our growth, we fall back into our sheep-like habit of following the loudest voice. We can wind up accepting and unconsciously parroting everything this source says, and completely forgetting about our own independent search. Keep in mind that at his stage, we have no idea what truth is, and instead of letting our own guidance tell us, we become seduced by the nearest pied piper telling lies and half-truths, and without us even realizing it, they lure us into their own cabal-like belief system. 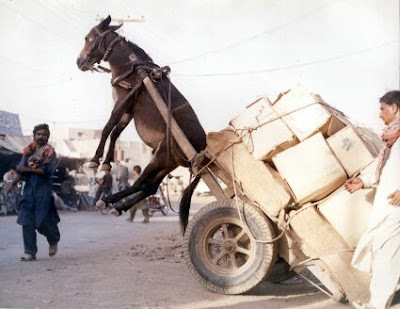 This is a commonly occurring example of what can happen when we receive too much information too soon. (This can commonly be seen on Youtube in lectures which offer little fact, but many unfamiliar and unfounded beliefs.) Instead of honoring the guidance of our own soul to a fully awake and aware state, we unknowingly join a cult and fall back asleep. As I understand the concept, the Law of Free Will exists so that we can develop and grow in the most natural and healthy way possible as souls. Just as plants--if left alone within their natural environment--have the best chance of growing to be big and strong contributors to their respective ecosystems, we must be allowed the same freedom of growth and uninterrupted development. It is this development which both the Alliance and the positive side of the Secret Space Program are being careful to allow us to experience on a collective scale (along with all of the benevolent E.T. 's out there). Too much information given too soon could set us back significantly, and would also invoke negative karma on those who gave it, but following the collective free will of the planet is the key to our unlimited growth. Many of us may have noticed the ever-quickening pace of this growth and awakening. The rate at which these numerous revelations seems to have gone from steady to ridiculously fast, and then to 'good-god-what's-happening'. The upheaval and readiness for change in many countries is reaching a climax, and this is occurring on a global scale. Yet, as I have said in previous articles, this is only the beginning. The events of modern times may leave us feeling that the world is only "getting worse". However, I believe it is important for us to remember that things only appear to be worse. There are many extremely positive events taking place, even as you read these words, though these events may not be immediately apparent. Our new world is being birthed at this very moment, but before we can enjoy it, we must deal with the final issues of this one. Let's resolve and wave goodbye to the difficult, and yet priceless lessons of our former life struggles, and as we become accustomed to envisioning our greatest desires, we will gradually be birthed into something more amazing than we even thought possible. It's coming. So get ready. Beautiful summary and commentary. This article helped remind me of what I know, what I feel, is rapidly approaching and to remain patient though difficult as that may be. I've been a tad frustrated as I simply don't encounter many "awakened" souls in my personal life -- not for lack of trying. Approaching 50 years old, most who are close to me consider me a bit aloof, distant, out of character these past several years (since I began delving into the rabbit hole/abyss). I try to gently inform, encourage, at least attempt to apply critical thought on various topics from False Flags, free energy, hidden history, govt corruption, secret space programs, etc) but with little success. I figure one day I won't look like such a loon...either way I'm comfortable following my heart.